Free from dyes, parabens, and phthalates. Our Clinically Proven Mildness formula is specially designed for baby’s delicate skin. Your infant’s skin is up to 30% thinner than yours, so it needs ultra gentle and delicate care. The Cottontouch™ face and body lotion is blended with real cotton and is specially designed for newborn babies' delicate, sensitive skin. This water-based lotion moisturises and protects delicate skin from day 1†. It’s so lightweight, soft, and breathable that it leaves no residue or stickiness behind. 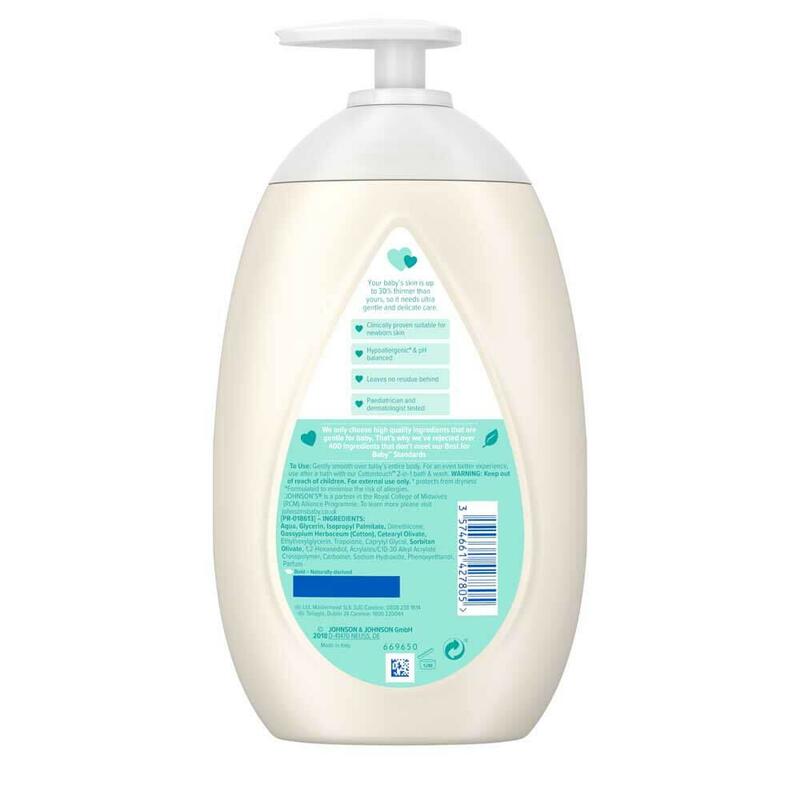 After a warm bath with Cottontouch™ 2 in 1 bath and wash, gently massage Cottontouch™ lotion over face and body for light and delicate care for newborn's sensitive skin. Keep out of reach of children. For external use.